On Thursday, Indonesia's National Board for Disaster Management raises the warning level for Anak Krakatau to 3, the second-highest rank. Saturday's eruption, which caused a 3-meter (10 foot) high tsunami to sweep through the Sunda Strait, killing more than 430 people and displacing tens of thousands. Aulia Ariani, a spokeswoman for The Indonesian Red Cross, told CNN that thousands of people have been removed from islands in the Sunda Strait between Java and Sumatra over fears of further tsunamis. Saturday's tsunami triggered by a volcanic eruption that caused a 64-hectare (158-acre) chunk of Anak Krakatau to slide into the ocean. The eruption came at high tide during a full moon, with the Sunda Strait thus, experiencing a spell of high rainfall, the government and rescue agencies said. 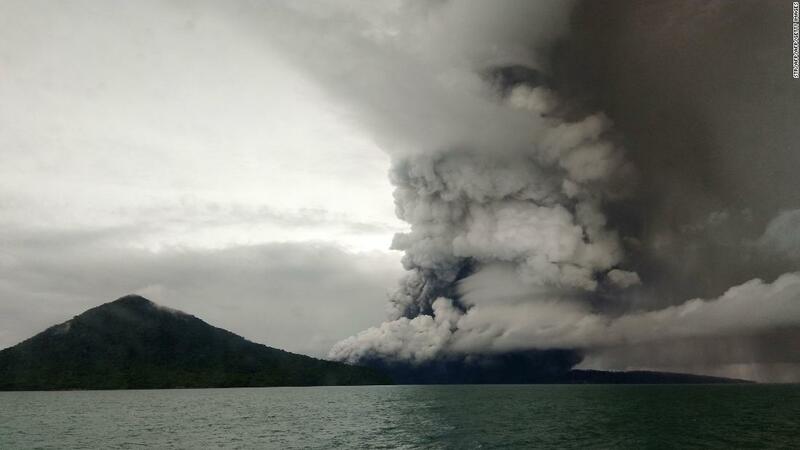 Officials said that the sensors had been placed near Anak Krakatau to make better sense of activity within the volcano, in hopes of a warning of future eruptions. Survivor Bapu Suwarna, 49, said CNN he initially thought the sound of the tsunami was noise from a nearby music concert. "The sound grew and I even heard crashing sounds," he said. Tsunami! Waves! Waves! '" " It took only seconds, not minutes, after hearing the thunderous sounds and then the waves hit us. "From the bottom of my heart heart, I sincerely request that you get an early warning system so that you can anticipate an incoming tsunami. " On Monday, Indonesian President Joko Widodo ordered the Country's Meteorology, Climatology, and Geological Agency's tsunami detectors. " CNN's James Griffiths and Carly Walsh contributed to reporting.